Whether you are a visitor, in the market for Kauai real estate, or a Realtor, this pricing information will save serious money on lodging. There are 4 main high end resorts on Kauai: Grand Hyatt Poipu, Marriott Lihue, St. Regis Princeville and Waipouli Beach Resort in Kapaa. Two others, Westin Princeville, and Marriott Waiohai are time shares. 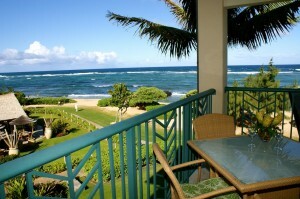 Then call Property Manager Josh Rudinoff of Kauai Exclusive Management at 808 651 0040 for booking. H302, the best for less. This entry was posted in Kauai Real Estate and tagged Kapaa, kauai, vacation rental condos, vacation rentals, Waipouli Beach Resort, Waipouli Beach Resort vacation rental on June 29, 2011 by Donna Rice.